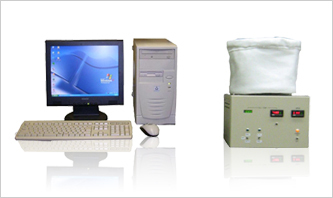 This system is able to calculate solution-diffusion coefficient of film-shaped samples. It uses differential pressure method with the digital pressure gauge (JIS-7126-1 pressure sensor method compliant) that can measure permeation delay time and solution-diffusion coefficient. Automatic operation with a data processor.